Patio furniture is an interesting category which often follows the trends of interior design, and yet has the liberty to adjust to the outdoor space. While with an indoor patio you don’t have to be concerned about the rain, snow, or sunlight, an outdoor patio furniture requires considerations that go beyond being comfy and stylish – it has to be durable. 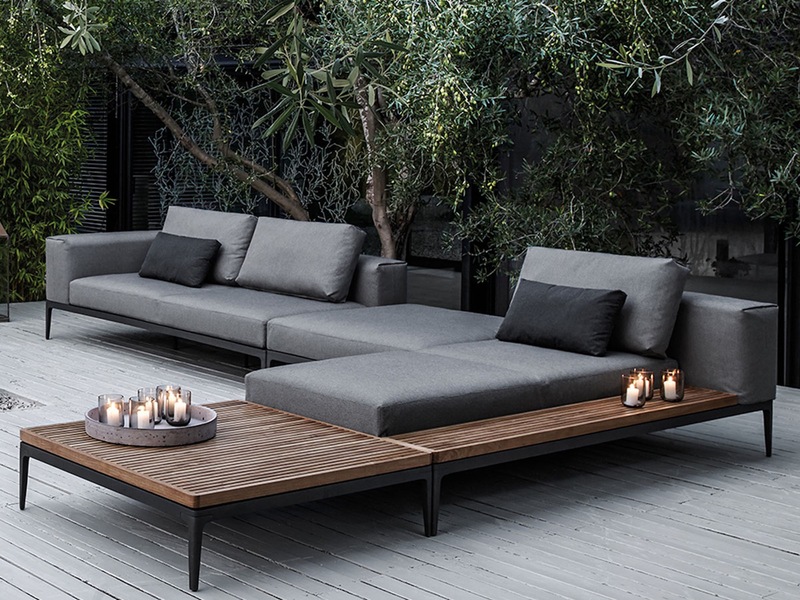 So, whether you’re furnishing a small balcony or a sprawling lawn, here are the top six trends for the outdoor furniture in 2019. When it comes to basking in the sun, nothing is more important than comfort, and with the recent trend of blending the indoor and outdoor space, the message is clear – you should be comfortable on your patio as you are in your living room. 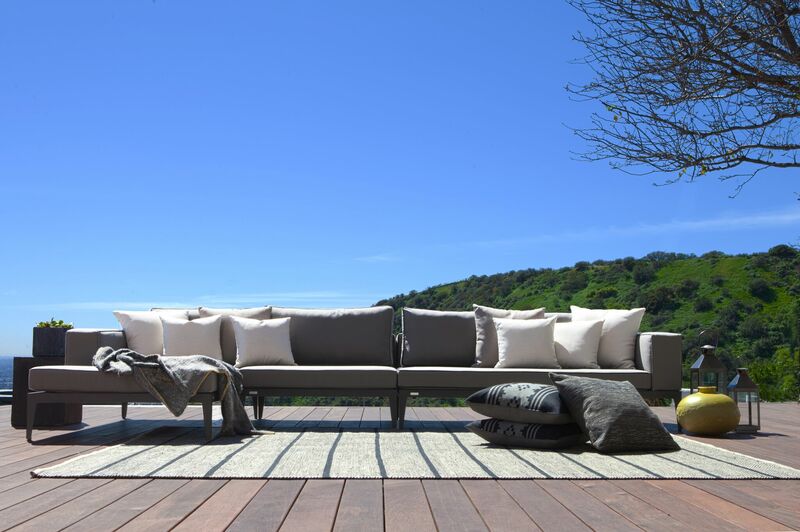 However, in order to last many sunny seasons, outdoor furniture needs to be made from durable materials such as weather-resistant teak wood or cast aluminium. Although these can’t compare with fully upholstered sofas, with the right choice of cushions and blankets, they can get pretty close. With more and more cheap furniture ending up in the landfill, homeowners are realizing the importance of investing in quality furniture sets, choosing durability over the low price. If you go with a durable option like cast aluminium, there’s a good chance it will last a lifetime. 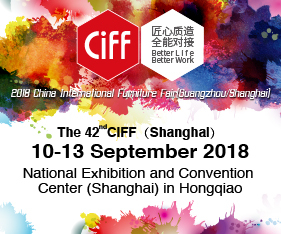 Apart from being one of the most popular patio furniture materials due to its light weight, aluminium can withstand heavy rains and harsh sun with equal ease. However, durability needn’t come with concessions to style. Manufacturers today offer premium furniture sets that are a marriage of function and beauty in any setting. As promised, in 2019 we’re bound to see a return of many retro trends in interior design, and patio furniture isn’t an exception. 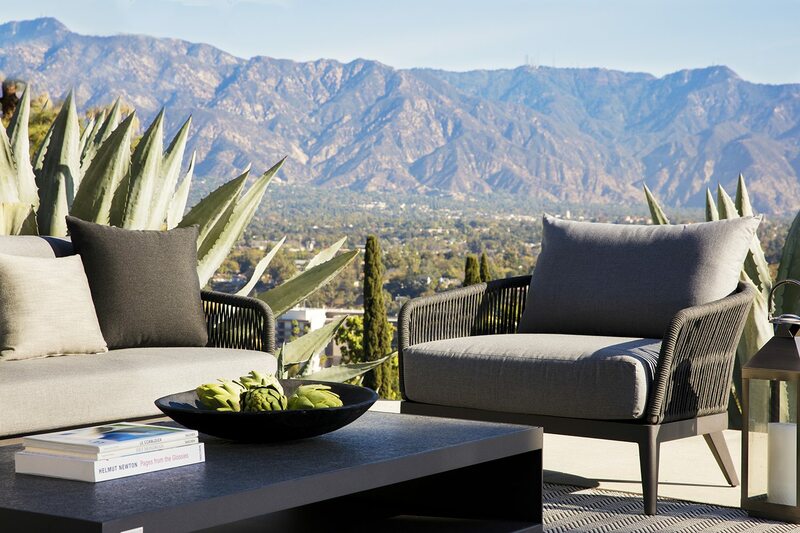 With a slight divergence from sleek modern lines, these outdoor furniture collections bring a new form of stylish elegance that pays homage to Hollywood glamour or haute-boho lifestyle of the 1950s. Whether its powder-coated aluminium with organic woven detailing, or sustainably harvested timber, the hallmarks of comfort and quality that have withstood the test of time are ready for a big comeback. Another outdoor furniture trend that seems to be taking ground is the ability to be rearranged with ease. Lightweight pieces are much easier to move around and adapt to the situation – for example if your patio becomes too small and you want to move the party further into the garden, everyone can simply pick up their seats and move. This also gives you a lot of flexibility to move in and out of the shade as the sun goes about. What is more, whether it can be folded or just stacked, lightweight patio furniture is much easier to store. The outdoor trends of 2019 are going to see even intimate patio spaces converted into conversation-focused nooks. Whether your patio space is extensive or already quite cosy, the next generation of patio seating sets is more adapted to group gatherings and designed with sitting and chatting on mind. Additions like swivel seats allow guests to switch between conversations more easily, as aluminium frames turn easily between the centre of the table and the sides, even allowing the back view of the yard. In addition, conversation seats are easier to move, in case a party needs to break off into smaller groups. Since its first application, resin wicker has proven a reliable substitute for naturally sourced willow or bamboo cane. Not only does it withstand more use and abuse, but it also works well in diverse climate conditions. Add a spacious wicker daybed to your patio and your relaxation hideout will be complete. On top of it, substituting a pair of chairs with a daybed makes a strong statement of style and anchors the whole set in place. After all, you can get a modular one and break it up into additional seating options. With the 2018 behind us, we’re ready to open up a new season of barbecues, fireside cocktail parties, and regular snug reading afternoons. 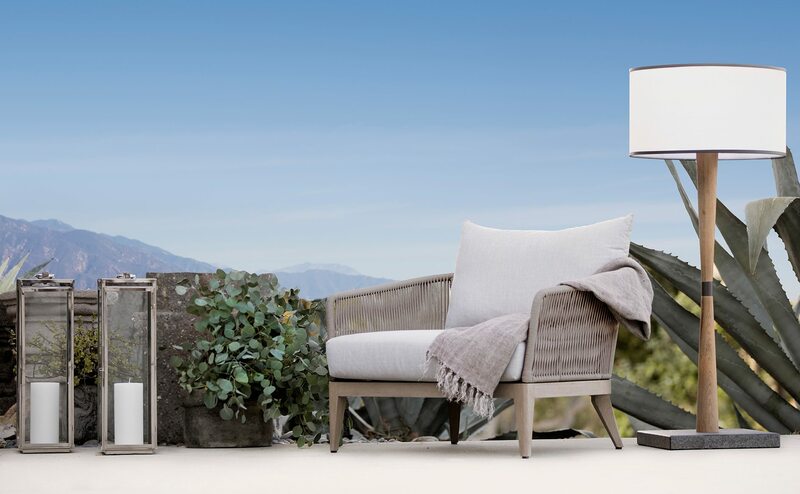 Through trial and error, these 2019 patio furniture trends have emerged, proving once more that timelessness lies in adaptability.